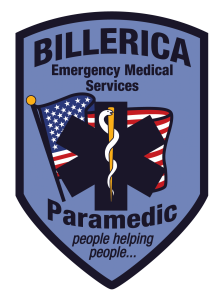 Updated 2/13/19 – The Town of Billerica Emergency Medical Services (EMS) is managed by Police Lieutenant Troy Opland. The unit has one Paramedic Supervisor, 11 full-time Paramedics and five per diem Paramedics who provide the town with 24 hour, seven days a week Advanced Life Support, paramedic ambulance coverage. Billing for the ambulance service continues to be provided by a private vendor, New England Medical Billing. The EMS Division currently has three ambulances. The Town staffs two ambulances 24 hrs a day, 7 days a week. The third ambulance is a reserve vehicle and is only being used as an emergency mechanical backup. EMS personnel are maintaining the First Responder System with the Police and Fire Departments. Paramedics continue to re-certify the Police Department in CPR training and the use of automatic defibrillators. Why does a Police Cruiser come when someone is sick or injured? Primarily, a Police Cruiser is sent on a medical call as part of the “Chain of Survival”. All police officers are trained as First Responders; some are EMT’s and Paramedics. Police cars are equipped with first aide kits and automatic defibrillators. When a life-threatening condition occurs, such as Sudden Cardiac Arrest or severe injuries, minutes, even seconds make the difference. 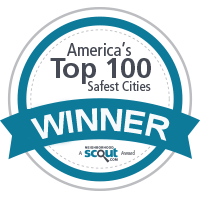 Nationally, a police officer is first to arrive at a medical emergency 80% of the time. In Billerica the police department has a close working relationship with the towns Paramedics. Additionally, the extra personnel help reduce treatment time by assisting the Paramedics, by setting up equipment and gathering patient information. There are times when both paramedics are needed to treat the patient(s) and an officer will drive the ambulance to the hospital. What is the “Chain of Survival”? The “Chain of Survival” is a concept developed by the American Heart Association (AHA). It includes the components or “links” that must be in place to increase a patient’s chance of survival of sudden cardiac arrest. 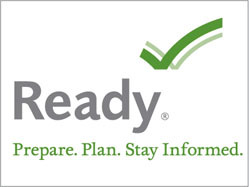 The Links include: Early Access to Care (Enhanced 911), Early CPR, Early Defibrillation/Basic Life Support and Early Advanced Life Support. The AHA has shown through research that the highest chances for survival happen when CPR and defibrillation are provided as soon as possible, followed by advance treatment by paramedics.